H.264 Advanced Video Coding or MPEG-4 Part 10 is fundamental to a growing range of markets such as high definition broadcasting, internet video sharing, mobile video and digital surveillance. 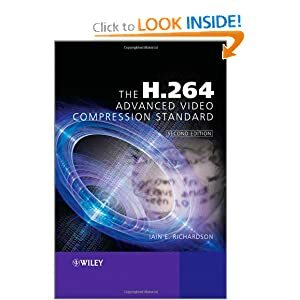 This book reflects the growing importance and implementation of H.264 video technology. Offering a detailed overview of the system, it explains the syntax, tools and features of H.264 and equips readers with practical advice on how to get the most out of the standard.